On National Poetry Day, October 6th, we are delighted to be celebrating our new partnership by collaborating with the historic poetry site of St Pancras International to celebrate the role of poetry, and landais, in narrating personal journeys across the time and place. Throughout the day passers-by should keep their eyes open for thought provoking landais printed on train tickets and projected on station screens. 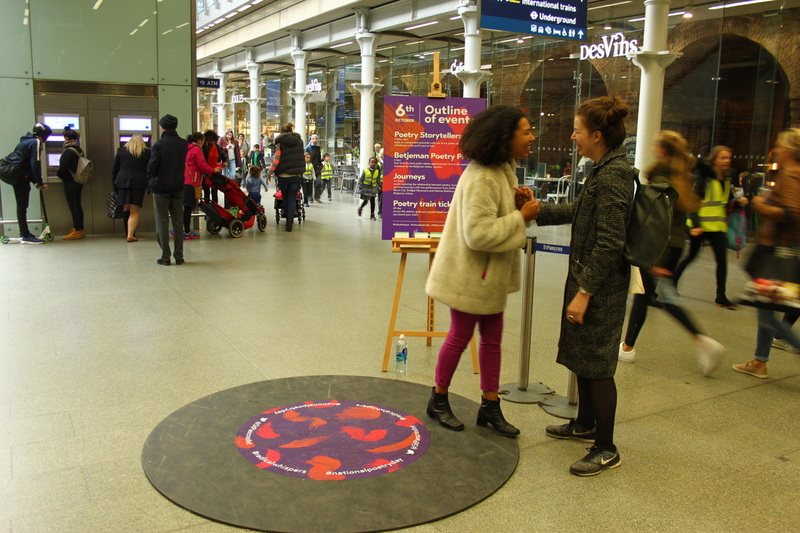 ​Story tellers Alia Alzougbi and Deanna Rodger will be using landais to engage with unsuspecting commuters throughout the day and draw out their own stories, journeys and reflections, in ways they perhaps wouldn't have imagined possible.. The question we will be asking, is..
..what would you say, if you could say anything? 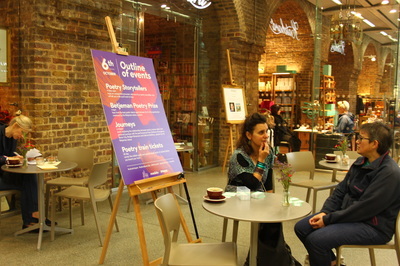 The day will draw to a close with an event at the station's Betjeman statue at 6pm featuring performers whose work explores the fundamental right of self-expression including Bridget Minamore, Sabrina Mahfouz, Anthony Anaxagorou and Benin City. Join us there on the day and spread the word online using the hashtags #sayanything and #radicalwhispers.